Four years back, I had an Advanta small business credit card. Interest rate and other terms were reasonable, and it quickly became my #1 business credit card. In fact, I was so fond of it that I decided to transfer my Bank of America (BofA) business card balance to it, via a 0% balance transfer offer. Months later, I regretted that transfer. That's because Advanta decided to breach our agreement, and started charging me interest on the transferred balances many, many months before they were supposed to. Advanta eventually --more than a year later! -- fixed that breach, but my faith in the company was wiped out. By the time I was ready to cancel my account, the company was out of business. Now it seems that Capital One may be trying to emulate Advanta's nonsense. Many Capital One customers have been complaining that the company has been breaching attractive 0% balance transfer agreements. According to a current class action in federal court, Capital One would offer 0% intro APR on both transferred balances and new purchases, but would start charging interest on new purchases almost right away. "...Unbeknownst to plaintiff and classes, however, once a cardholder accepts Cap One's '0% interest' balance transfer offer, Cap One unilaterally, and in breach of the cardholder agreement, eliminates the grace period and begins charging interest on all new purchases from the date of the balance transfer forward. 'Cap One did not disclose that it would eliminate the grace period for cardholders who accepted Cap One's 0% balance transfer offers and subject them to high interest charges. Cap One did not disclose that the only way for these cardholders to avoid interest charges on new purchases once they accepted the 0% balance transfer offer was to pay the full amount of these purchases plus the full amount of the balance transfer - in the same month that the cardholder accepted the balance transfer, even though the promotional period on the 0% percent offer was for 6 or 12 months...Contrary to the simple 'chance to save' that Cap One represented the balance transfer would provide, and that cardholders paid for, many cardholders who accepted these offers found themselves worse off than they were beforehand.'..." 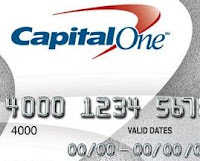 We at www.FedPrimeRate.com stopped recommending Capital One cards years ago because new accounts would invaribly have very low credit limits associated with them. The typcial new account would have no more than $500 available for both purchases and tranferred balances. Not good if, by our records, the typical balance transfer request is around $3,000. My advice to Capital One: don't do the Advanta thing. Stick with what you promise! We'll keep posting on this story as the case develops. Stay tuned.